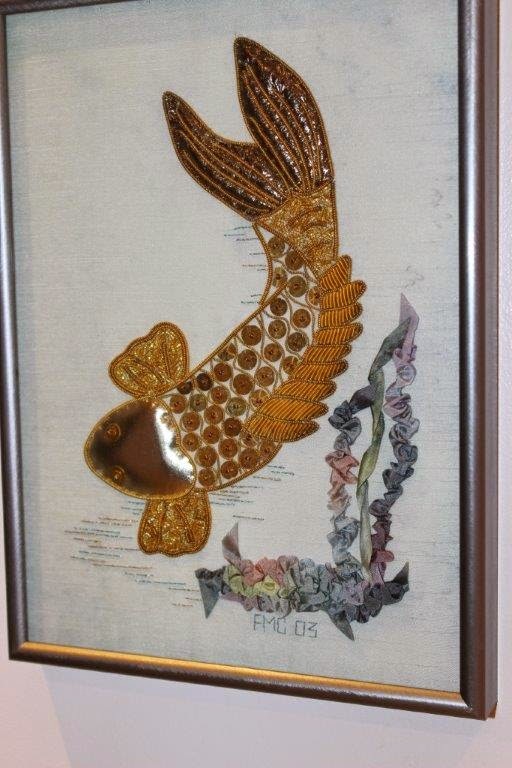 Fran was a long time member of EAC, beginning in 1973 when she joined the Lakeshore Creative Stitchery Guild. 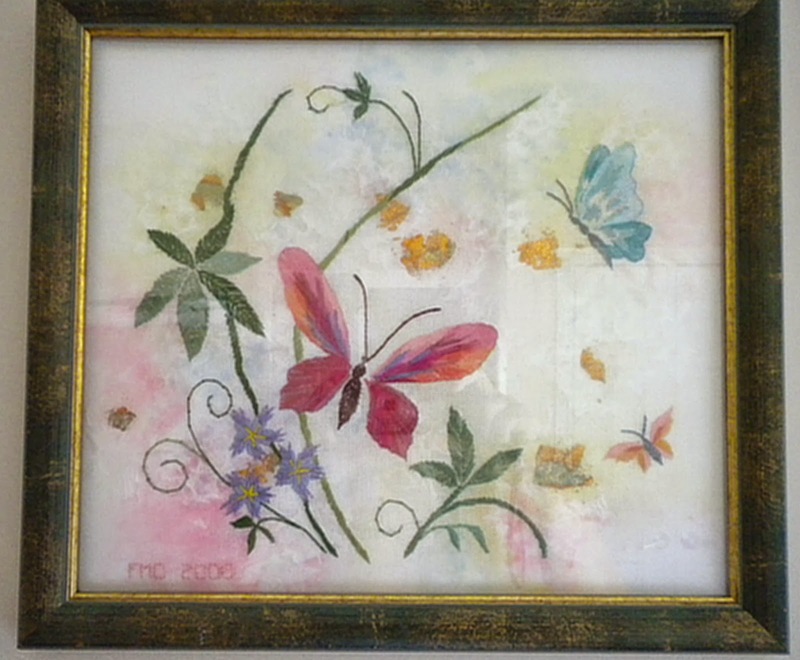 Fran moved from Montreal in 1980 but kept her EAC membership as a National member, until she moved to Dartmouth, when she joined the Stitchery Guild of Bedford. 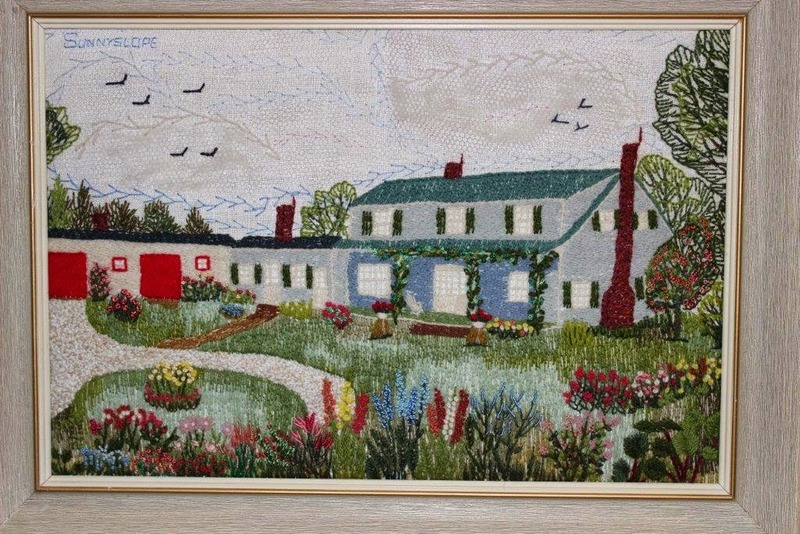 Recognizing the need for a daytime Chapter in the Dartmouth/Halifax Metro Area, Fran was one of the founding members of Alderney Needlearts Guild which meets in Dartmouth, but draws members from the wider Metropolitan area. 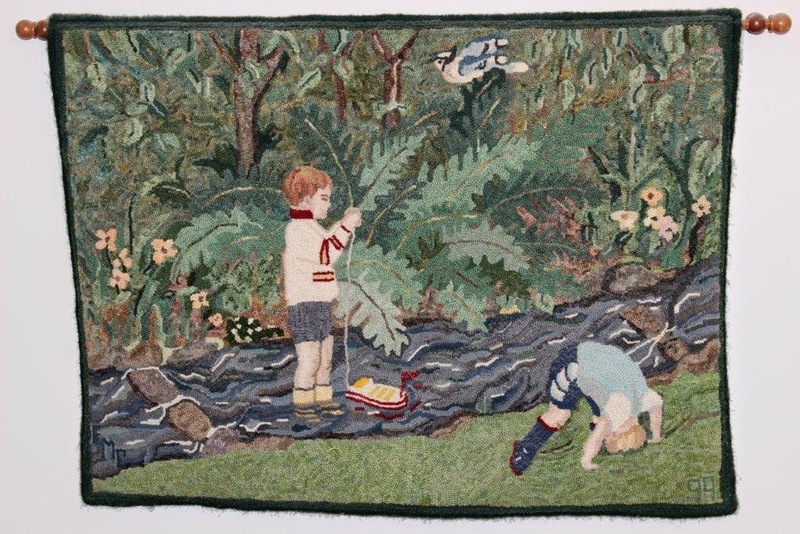 Not long after Fran moved to Winnipeg and joined the Embroiders Guild of Winnipeg and finally her last move was back to Nova Scotia and although she lived an hour outside Dartmouth, she faithfully travelled in to not only our monthly meetings but as well to the weekly stitch-ins with her daughter. 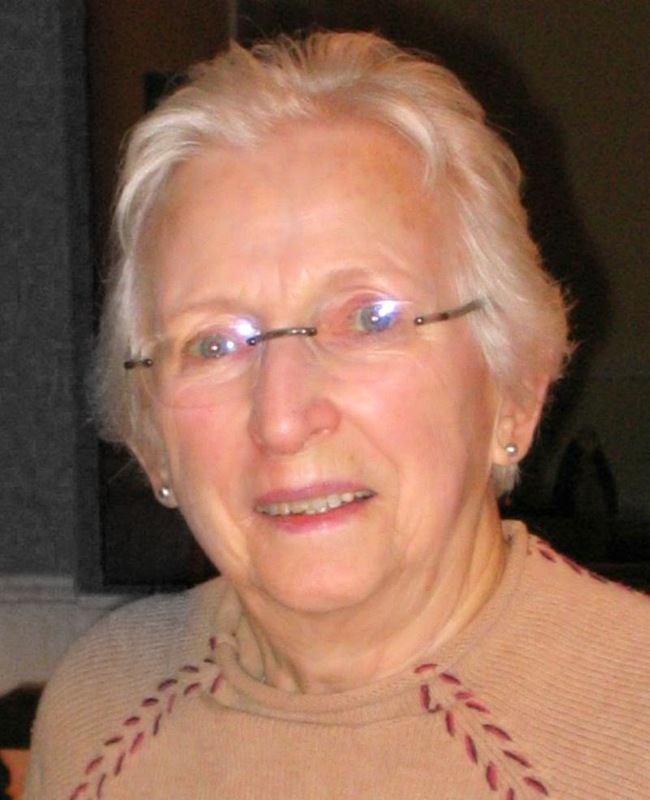 Perhaps some are wondering why I have included this mini travel outline; I included these facts for two reasons, to list the Chapters Fran was a member of over the years and to illustrate Fran felt being a member of EAC was important; in fact she took great pride in being a long time member. Fran took many classes during her long association with EAC and enjoyed a wide variety of techniques. She participated in many Chapter projects along with working on projects of her own. She was quick to both praise the work of others and offer assistance when the opportunity arose. Fran had a ready smile for all and took great pleasure in getting to know new members of the Guild; this was easily accomplished at our weekly lunches after stitching which so easily and importantly merged the social of stitching and sharing meals together. Our Chapter participated in the Stitch in Public day in 2013 at the assisted living facility Fran lived in the last few years of her life. 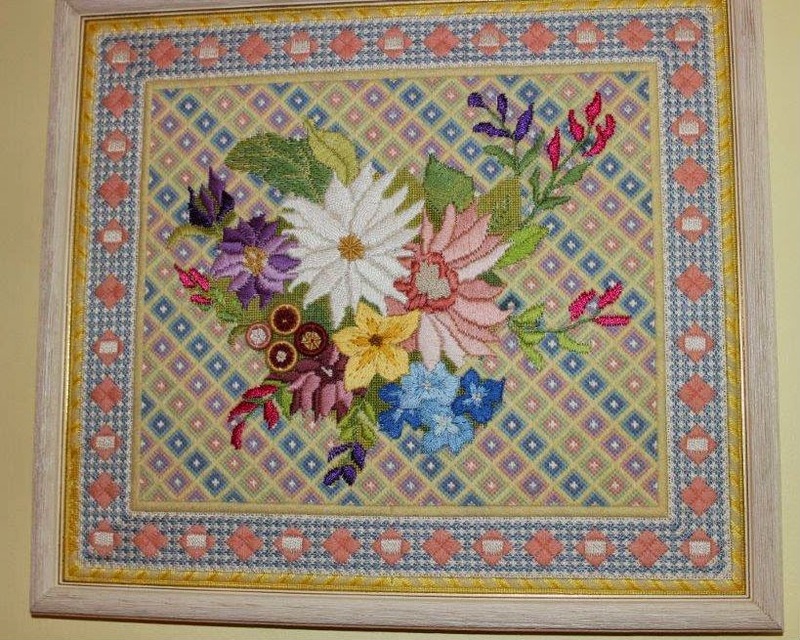 During this time Fran enjoyed sharing her love of the work a threaded needle can accomplish with the other residents, while enjoying her own stitching and the company of the Guild members. Fran touched our lives in so many ways, we are truly blessed to have known her. It was with great sadness I read of Fran's passing. 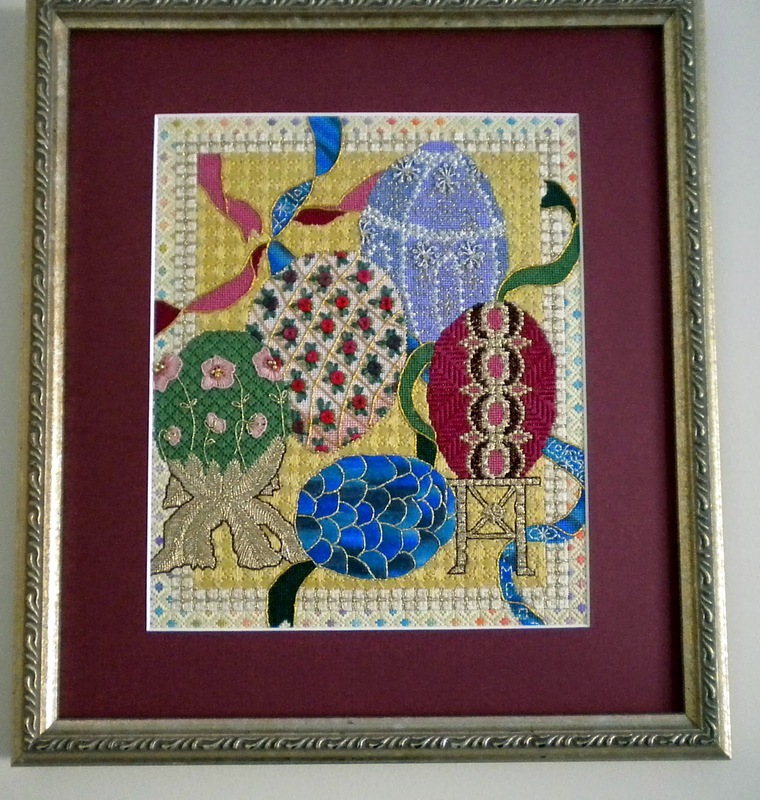 All the beautiful needlework pieces she has left behind will be a tribute to her wonderful talent as a stitcher.